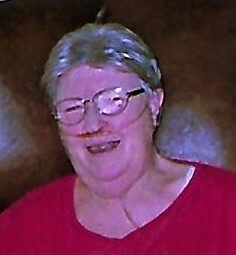 DIXON- Dorothy M. Koelling of Dixon passed away on Thursday, August 2, 2018 at Hospice of the Rock River Valley. Dorothy was born on September 2, 1946 in Kewanee, IL, the daughter of Levi and Mary (Dixon) Koelling. Both parents precede her in death. Survivors include two brothers, Victor (Johnny) Koelling of Toulon, IL and Albert Koelling of Bradford, Illinois; two sisters, Rose (Dwaine) Jackson and Martha (Kevin) Logsdon, both of Bradford, IL; two nieces; and two nephews. Dorothy was a very hard worker. She worked for over 35 years at the Dixon State School, which is now known as the Jack Mabley Center. When not working, Dorothy loved to travel and took many bus trips. She was a collector of snowmen and loved the snow. Generous, outgoing, and caring a just a few words that describe Dorothy. She will be greatly missed by her family and friends. A visitation will be held on Monday, August 6, 2018 from 11:00am to 12:00pm. A Celebration of Life will immediately follow the visitation at 12:00pm. Burial will be in Chapel Hill Memorial Gardens, Dixon. Memorial contributions may be made in Dorothy’s honor to the American Heart Association, 7272 Greenville Ave, Dallas, TX 75231, or to Happy Tail Humane Society, 1408 McNeil Road, Rock Falls, IL 61071. Please visit www.chapelhilldixon.com to offer your online condolences.